Among the other projects and collaborations No Mine! is working on, Suzanne in particular has been exploring opportunities to infiltrate the fashion world. 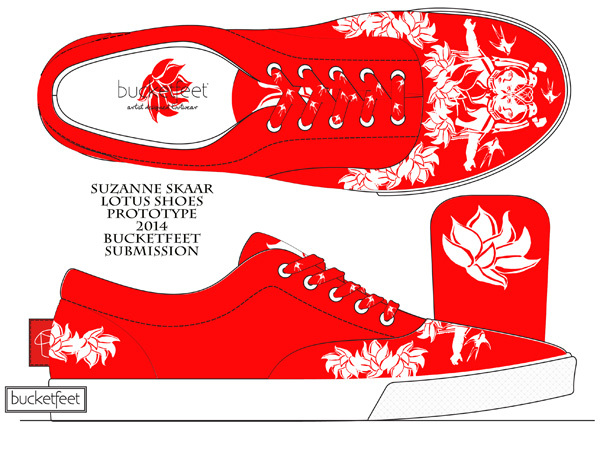 Here’s one sample of a shoe prototype sent in to Bucketfeet. If you would like to collaborate or see No Mine! Studios’ designs in other wearable formats, shoot us a line at nominestudios [at] hotmail [dot] com.